Over the last couple of months, Panasonic has been delivering on a couple of deals done with TVNZ, one for studio gear, one for crews in the field. The deals follow a successful implementation of a new Panasonic solution at SPP for TVNZ’s long-running drama Shortland Street. Rick Haywood, MD of Pro Video Systems, the exclusive distributor for Panasonic broadcast and professional video equipment in NZ, noted it was a big win for Panasonic, as TVNZ has traditionally been a Sony house and hasn’t used Panasonic gear previously. 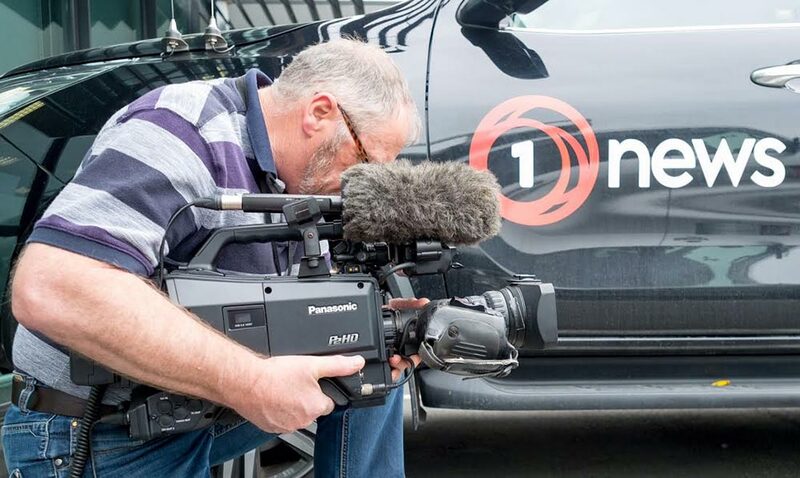 Three years ago TVNZ’s South Island News Operations Manager Mike Fitzgerald began looking to replace camera gear the network was using outside its Auckland base. He offered assurances to companies that, despite TVNZ’s long relationship with Sony, the opportunity for other suppliers was a genuine one, not simply an exercise in keeping a preferred provider honest. There were, Haywood said, lots of meetings, and demos, and presentations at the NAB Show. “After three years it’s finally come to fruition.” The network’s NCA crews outside Auckland are now receiving 18 new Panasonic ENG cameras. 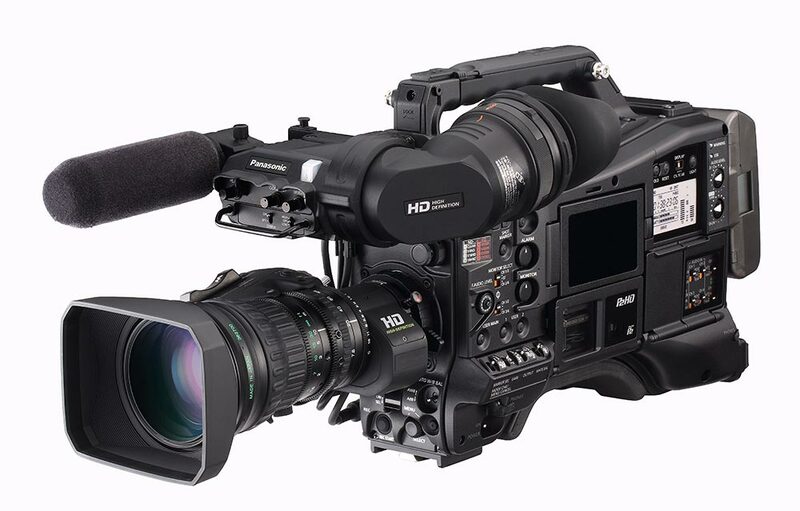 The Panasonic AJ-PX5000G 2/3” sensor shoulder-mount camcorders are supported by some compact Panasonic 1/3” sensor AJ-PX270s, for work in confined spaces. First demonstrated a couple of years at NAB, it became viable at the beginning of this year and offers automatic FTP transmission and on-air streaming. P2 Cast suited Fernie’s vision of a go-live-from-anywhere future for news gathering at TVNZ. The P2 Cast system allows a camera operator to shoot and upload simultaneously a proxy video to a server – anything from lo-res to broadcast quality. Editors can view and cut for online and order the hi-res material they need directly from the camera – and none of that has anything to do with the camera operator. It’s all about speed and – with breaking news – getting it online first. For a camera operator, it means they can focus (no pun intended) on being a camera operator again, rather than having to handle all the upload. For unfolding events, the camera can automatically upload an ongoing shot in two-minute chunks. It integrates with Avid and iNews. There’s plenty of metadata coming in with the footage – including time, date, location and the camera operator’s details – plus the ability to add in more at the network centre. The P2 Cast system is designed for cellular networks. Although NZ’s are of variable quality depending where you are, the system works. The systems also have applications for live sports and integrates with LiveView for streaming, which TVNZ, MediaWorks and Sky all use – although NZ broadcasters haven’t yet got into streaming in a major way. Panasonic’s second win has come in TVNZ’s Auckland news studio, which is getting five new Panasonic cameras. The installation of the Panasonic AK-UC3000 4K Studio Handy Camera system will be the first in Australasia. Introduced at NAB earlier this year, the cameras produced images that impressed Paul Hedges, General Manager of Production Services and Facilities at TVNZ. The cameras were a key element of the 2016 Olympic broadcasts, proving that they were flexible, robust, and reliable in a real-world situation. In the TVNZ studio, the cameras will use a fibre optic link to a networked camera control unit. For flexibility, TVNZ will position three cameras on robotic pedestals supported by one handheld camera and one set up in the newsroom. Haywood explained that the cameras use a newly-developed 4K large format sensor but also accept a standard B4 lens mount for compatibility and integration with existing systems. TVNZ won’t immediately use that 4K capability, but Hedges noted that it was there when needed in what’s a rapidly-changing digital environment.